What Test/Tests Determined Your Need For Supplemental Oxygen? Home Forums Oxygen Users What Test/Tests Determined Your Need For Supplemental Oxygen? This topic contains 16 replies, has 4 voices, and was last updated by Brittany Foster 3 weeks, 2 days ago. 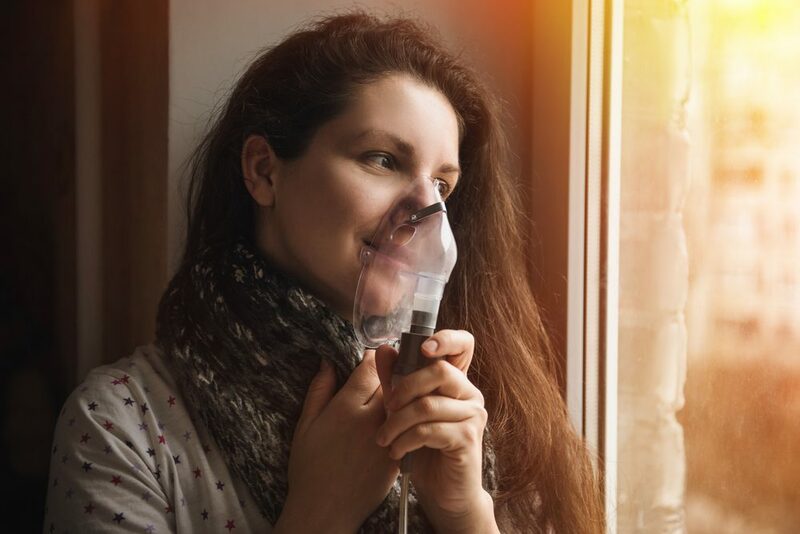 I know that we have members who are curious about whether or not they need supplemental oxygen and are wondering if it will help to improve their symptoms. This can feel difficult and scary to bring up to the doctors because getting oxygen is a huge life change. When I was first put on oxygen I didn’t get much choice in the matter and wasn’t able to “ask” for a specific test that would determine if I needed it. I was given a walk test multiple times in a hospital and each time my oxygen levels would drop into the low 80s and even the high 70s. This is how doctors determined that I needed the oxygen with activity and how I finally recognize that my symptoms I was experiencing weren’t just “in my head”. What test/tests determined your need for oxygen? What specific test or testing would you recommend that someone ask their doctors about if they are wondering if oxygen will help with their symptoms? I had been very tired and short of breath with exercise or just walking. My primary care doctor referred me to a pulmonologist and he gave me a 6 minute walk test. My O2 sat went to 82 and they did not even finish the walk test. They put me on a portable O2 tank in the office and told me I needed home oxygen. Needless to say, I was shocked! I had never expected that. They recommended a company and within 2 days I had home oxygen. It was an adjustment getting used to it. Not so much using it at home, but going out wearing it. But I remember the nurse in the office explaining that you kill brain cells each time your O2 sat level is below 89. That really made an impression on me. I’ve been on it a little more than 3 years. He also ordered a sleep study and I have sleep apnea also and have a C-PAP machine too. I’ve had pulmonary function tests but don’t remember exactly when. Thanks for the information. Your story of finding out you needed oxygen was similar to mine except I was in the hospital when I left with oxygen and got set up with a company. It was all very overwhelming. Are you still using the oxygen tanks or do you use a portable oxygen? If you don’t use the portable ones, do you have a home filler system for it? I have a home filler so only need to request the larger tanks from the company when I am going somewhere where I need more tanks and can’t have my filler system with me. I walked into the clinic at the hospital registration desk to register for my appointment. The registrar asked if I wanted a wheelchair. When I got to the clinic, the APN looked at me and gave me oxygen and IV Lasix. I looked 8 months pregnantand could barely breath; my O2 was in the 80’s. That was the test. i could still walk for 6 minutes but very slowly- no walk test was needed at that point. It seems like things moved for you pretty quickly too! It’s like you’re kind of just thrown into this world and then we all learn as we go. This is why groups and forums like this are so important for our community, especially for those who are newly diagnosed to “meet” others with this. It an feel like a big whirlwind ! It still feels like that sometimes. Brittany, overwhelmed is a good word for learning you need to use oxygen. Or shocked, or flabbergasted, or gobsmacked! I had smoked for over 50 years and of course cancer was always in the back of my mind, but had never thought of needing oxygen. You do get used to it though. I have the big floor model concentrater which I use at home and I use canisters when I go out. They go in a carrying case over my shoulder. I have not timed them, but they probably last for 3-4 hours. I inquired about getting an Inogen type portable concentrator but there is something about the way Medicare bills and 5 years that I have to wait till the 5 years is up before I can get one of those. I can’t afford to buy it on my own. I am lucky to be on Medicare because it pays for almost all of my supplies with no questions. That’s great that a lot of your supplies are getting paid for. All of the words that you mentioned definitely come to mind when thinking about getting on oxygen, but you’re right that you DO get used to it eventually. I also use the smaller tanks in a backpack and they last me for 2 hours each because they are the smaller ones. If I used the larger tanks and pulled them they would last 4 to 5 hours. Are you on pulse flow? The inogen is supposed to be really good for those that need pulse flow and it is pretty lightweight from what I hear. The portable tanks that I use are pulse flow. I will eventually get on Inogen, but not till the 5 years are up, which will be in Feb 2021. There is something with the Medicare billing that I have to wait for 5 years to be up. She explained it, but I really did not understand it. It really is not that heavy, I don’t notice it when I am wearing it. I would prefer a continuous flow, like with the floor concentrator, but it is what it is. I don’t go out much because I have very little energy. Only to the grocery store, the doctor’s and out to eat once in a while. I am starting back with my pulmonary rehab class next week. I had stopped going for the winter because I am afraid of falling when walking on snow and ice. I use their oxygen when I am at the class. I have heard great things about pulmonary rehab! You’re doing the right thing by going. I know that i definitely want to go to cardiac and pulmonary rehab after my surgery because it will only help me and make me less nervous when working out if I know exactly what my oxygen rate needs to be with different levels of activity. I never really had that happen for me. Being on the continuous is hard because it limits my options for a POC that is easy to carry around but hoping that it will strengthen my lungs so I can use something like that soon! I know it will be easier for travel. Does it matter if you are on continuous or pulse O2? I did not know that it did. The only reason I don’t really like the tanks is because I have to conciously breathe in and it makes a noise. But I have to use them going out and I do. Continuous oxygen would be better for some people and usually the doctors will let you know if they want you on continuous flow or pulse flow. For me, I have a breathing disorder where I unknowingly stop breathing so it’s like sleep apnea just during the daytime too. So the oxygen is provided to make sure that I am getting enough oxygen with activity and that my pressures in my pulmonary artery don’t rise because of lack of the oxygen. There are other reasons why one would need continuous flow too. It’s usually tested out in a doctor’s office though and they make sure your levels rise when you are on the flow rate while walking around. At least that’s how it was for me. The doctor did not mention anything about continuous or pulse flow. Just ordered home oxygen for me and the nurse asked me what company I wanted to use. I was in such shock, I did not know what to choose, so she chose one for me. The delivery guy came to my house 2 days later and set up the floor model concentrator and gave me 8 small canisters for going out and also 2 of the big tanks for if the electricity goes out. And all the hoses that go with them. They really don’t give you any education on how to use this stuff. And a delivery guy should not be the one to tell you about it. I agree! It should come with some type of user friendly manual and some guidance about things you may feel when you first receive oxygen and tips on how best to live your life WITH the oxygen because it essentially becomes a part of you. Maybe that will be my next project and I will bring that up to my pulmonary team when I am in the hospital post op and see what they think about making a small book about it. I could even include some of my column posts about oxygen in it. That would be something a lot of people could find beneficial. Also a page dedicated to “the faces of oxygen users” so people can see a range of those represented by wearing oxygen and that there isn’t just a stereotype oxygen user. My mother was getting bigger and bigger by the day. She was visiting me from India. I got worried and had an appointment with a cardiologist as recommended by my primary care. She had no insurance. The day before her appointment she didn’t wake up and I had to call 911. They told me she had respiratory failure. I was shocked and we spent 3 weeks in the hospital and was she diagnosed with PAH and the hospital was kind enough to give me good rental contacts for the oxygen. I couldn’t let her go back to India and live all by herself. She was not happy to be wearing the oxygen 24/7. But now after 3 years she knows that it is the oxygen that is letting her do as much as whatever she wants to. I have a home system and a portable one. I know it was difficult to pay for everything out of pocke but when I see happily walking out to the garden with her portable oxygen I know it is so well worth it. She also knows that the inconvenience is not so much issue when she is able to do what she enjoys the most. A user manual for oxygen is a good idea Brittany. The doctor’s office gave me no information on how to use it and I was too upset to ask. The internet is a good thing for finding information about it. Another thing that could use more instruction on how to use it are inhalers. The only reason I know that you should use a spacer with it is that I knew the respiratory therapist who did my first PFT and she told me to use it. And Jay, it is wonderful that your mother is able to walk to the garden. That makes me think maybe I should buy the portable concentrator on my own. I get quite short of breath walking even when I have the tanks. I have to stop to catch my breath while I am walking anywhere outside of the house. If the pulse flow setting seems to be helping to increase your oxygen levels then I would say to look into smaller portable oxygen concentrators like the inogen! It is an investment if it’s not covered by insurance, but if you’re on the move a lot I’m sure it is well worth it!